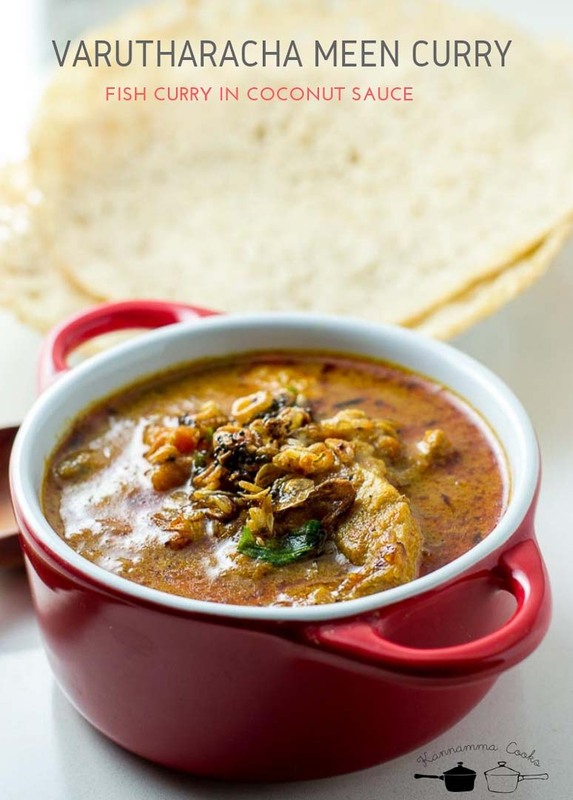 Recipe for Kerala Malabar style Varutharacha Meen Curry with coconut. 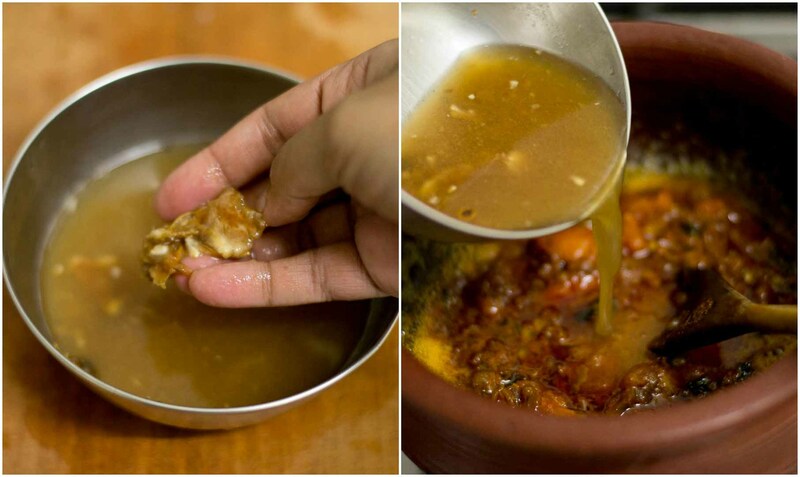 Varutharacha Meen Kulambu Recipe with step by step pictures. 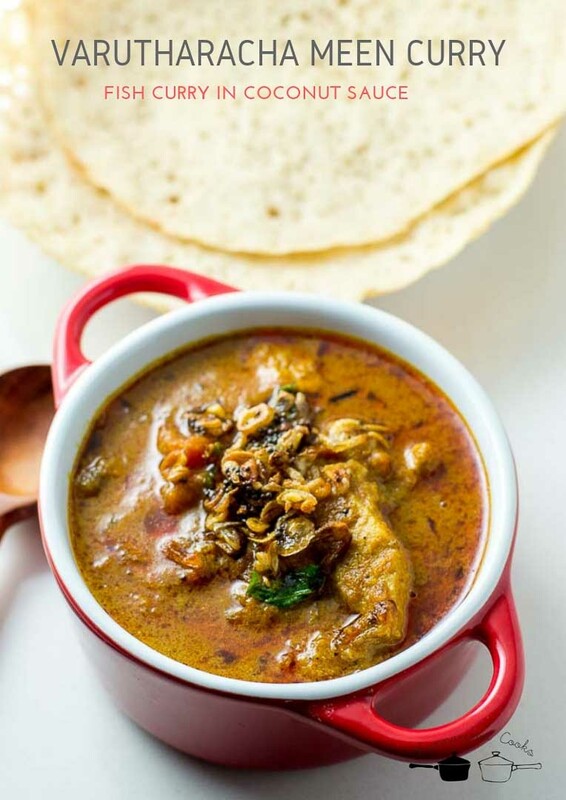 A simple Kerala style Varutharacha Meen Curry which has a robust heat from the spices and is balanced with a rich coconut sauce. One of our house staples! Here is how to do it. Salt the fish steaks. 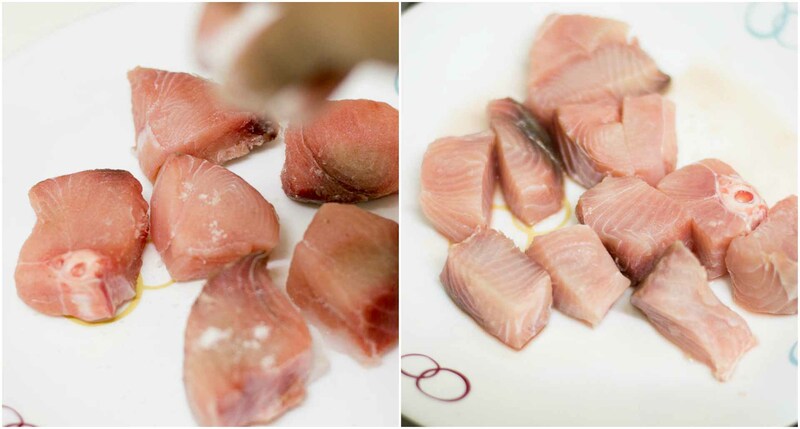 Sprinkle half a teaspoon of salt on both sides of the fish. Set aside.I have used the fish variety called Milk Shark (paal sura) today. 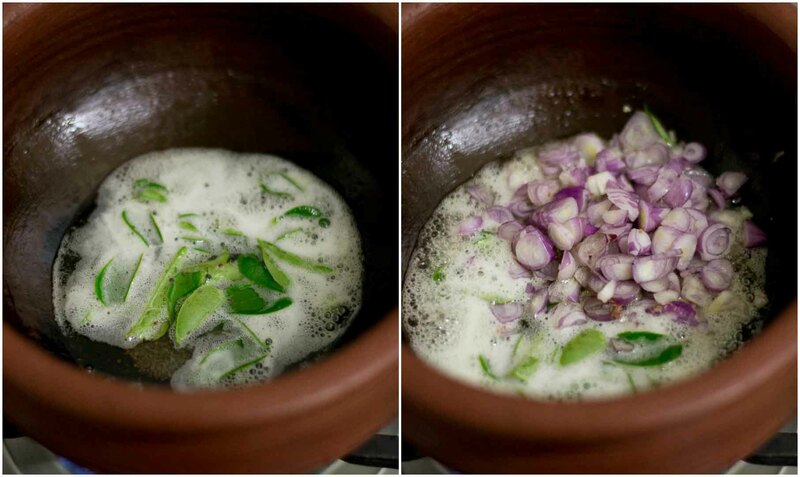 Heat coconut oil in a pan (preferably an earthen pot) and add in the ginger and garlic along with chopped Indian shallots (Indian small onions). Add in the salt. Adding the salt now will help prevent the ginger and garlic from sticking to the pan. Saute till the onions are soft and starting to brown. Add in the fresh shredded coconut and saute for a few minutes. 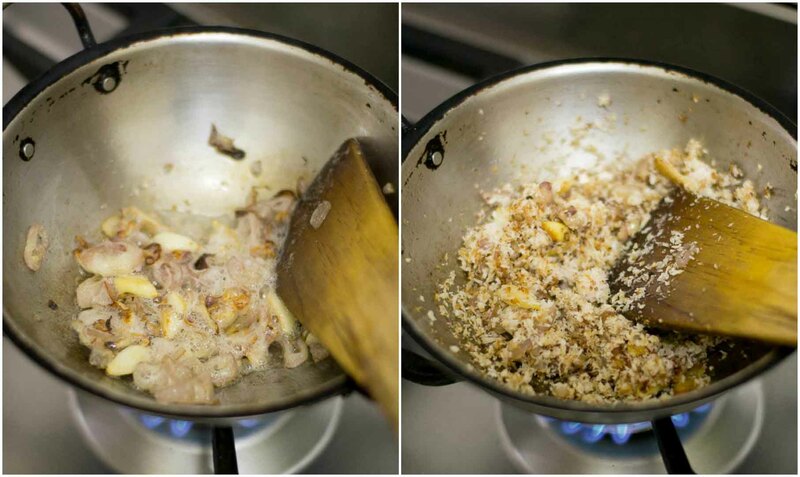 Remove from heat and let the mixture briefly cool. Grind the mixture in a mixie with half a cup of water to a smooth paste. Set aside. 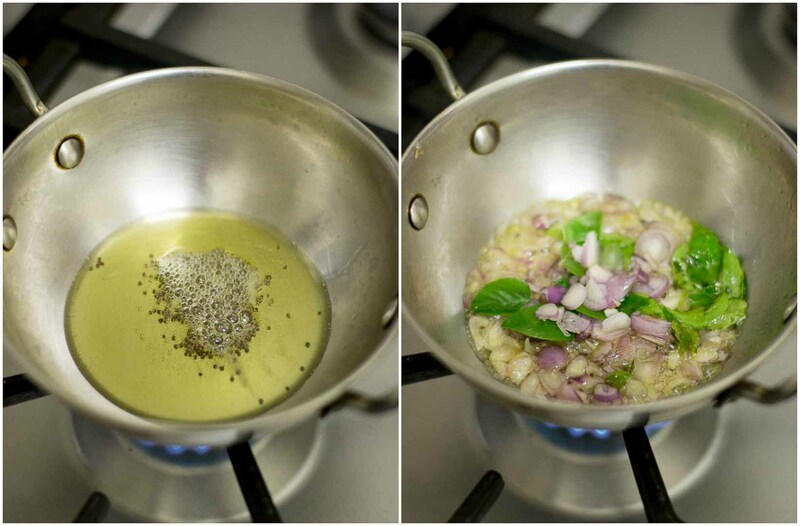 Heat coconut oil in a pan and add in the curry leaves and chopped Indian shallots (Indian small onions). Spice paste – In the mean time, make a paste of turmeric powder, coriander powder, black pepper powder and red chilli powder. 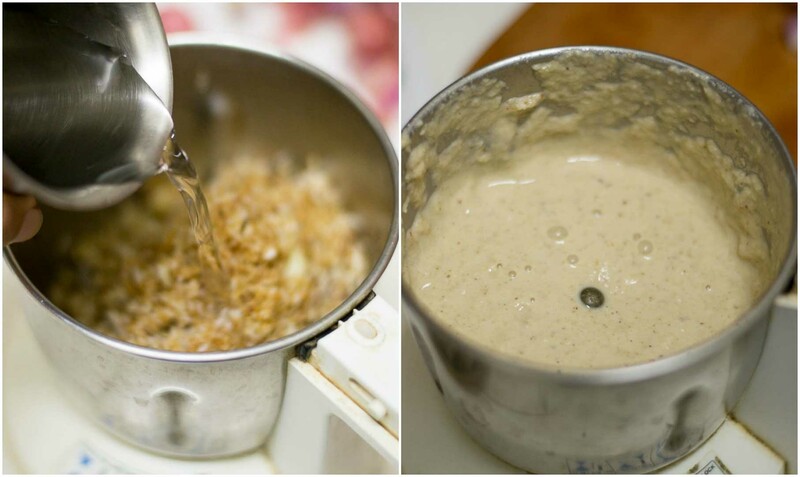 Add few tablespoons of water and make a paste. 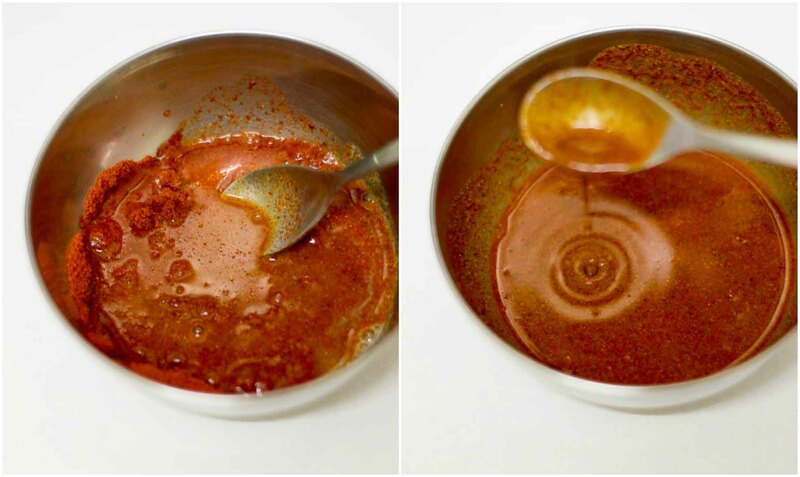 If you want a fiery looking red curry, use Kashmiri red chilli powder. Add a chopped tomato to the pan. Also add the spice paste to the curry and saute well for 3-4 minutes until the masala paste is completely cooked. Streaks of oil will start appearing from the mixture. Its a sign that the masalas are cooked. Soak the tamarind in a cup of water and squeeze the tamarind to extract the pulp. Discard the seeds and the pith. Add the tamarind pulp to the pan. Let the mixture simmer for five minutes. Now add in the ground paste. Add in the fish steaks. Cover the pan and let the curry simmer for 10-12 minutes on a medium flame. Mix the curry once in a while to avoid scorching at the bottom of the pan. 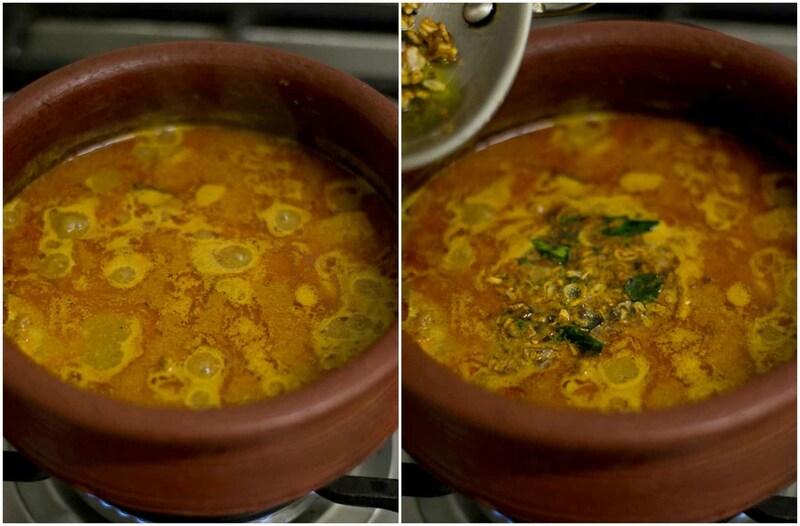 Heat ghee in a pan and add in mustard seeds. Let it crackle. Add in the the curry leaves and sliced small onions. Saute the small onions until golden. Add in the black pepper powder to the pan. Immediately add the tempering to the stew. 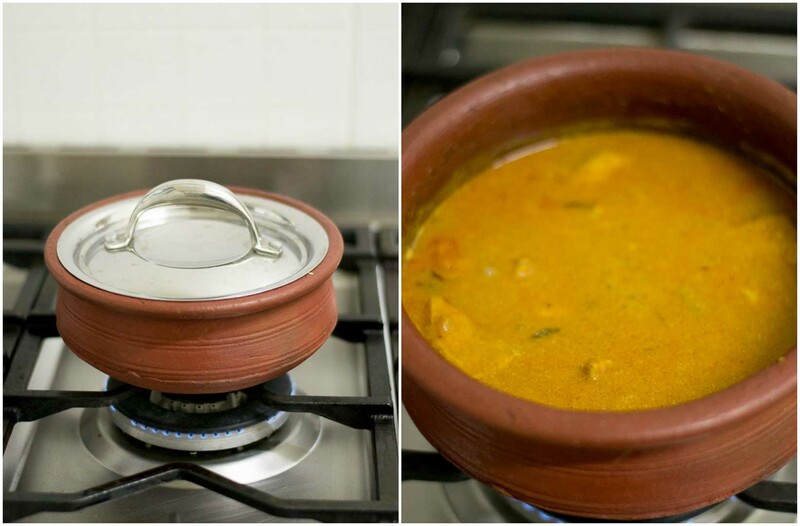 Varutharacha meen curry, Kerala style is ready. 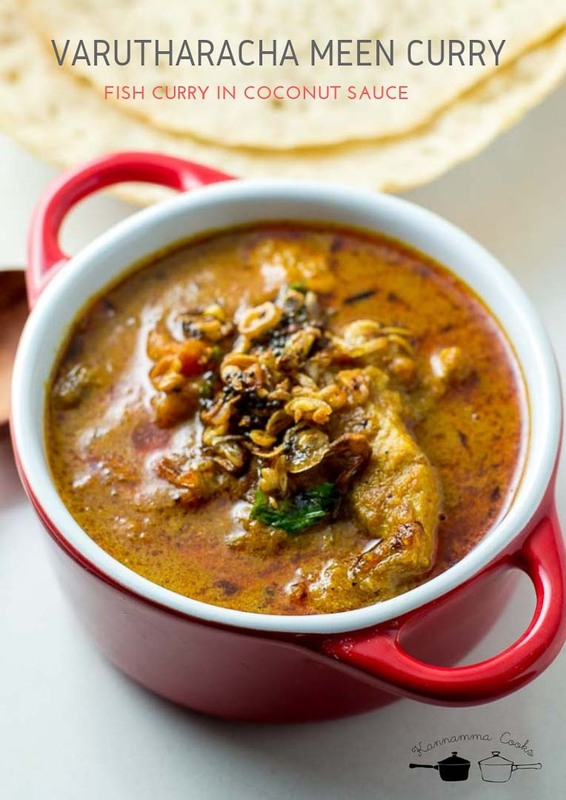 Serve with appam, idli or dosa. 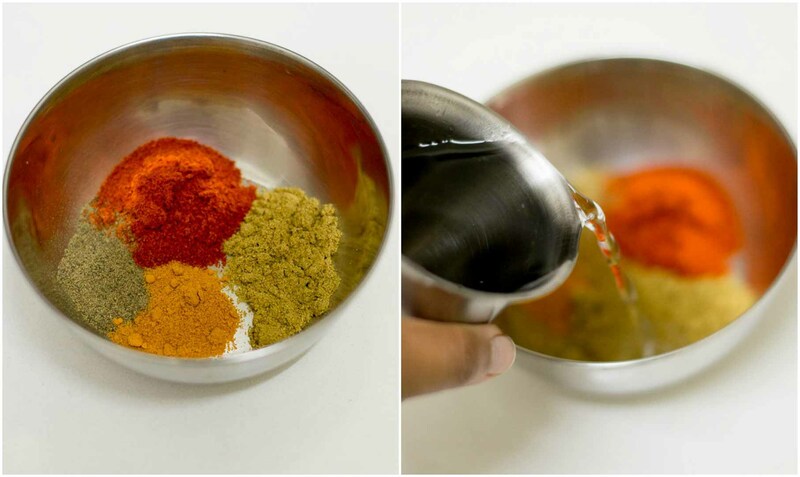 Make a paste of turmeric powder, coriander powder, black pepper powder and red chilli powder with water. Add a chopped tomato to the pan. 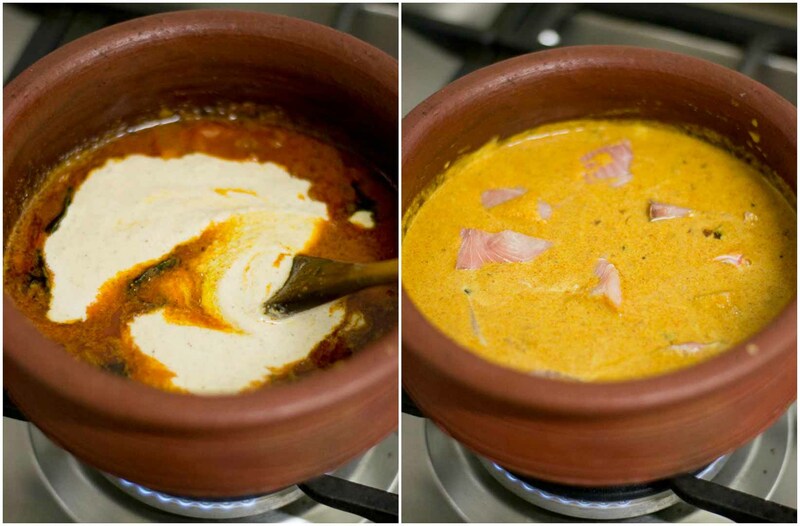 Also add the spice paste to the curry and saute well for 3-4 minutes until the masala paste is completely cooked. Streaks of oil will start appearing from the mixture. Its a sign that the masalas are cooked. Let the mixture simmer for five minutes. Now add in the ground paste. Add in the fish steaks. Cover the pan and let the curry simmer for 10-12 minutes on a medium flame. 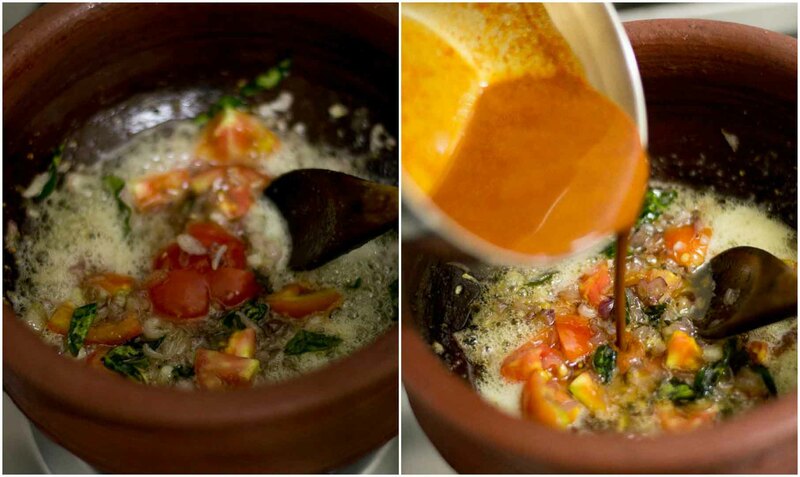 Mix the curry once in a while to avoid scorching at the bottom of the pan. 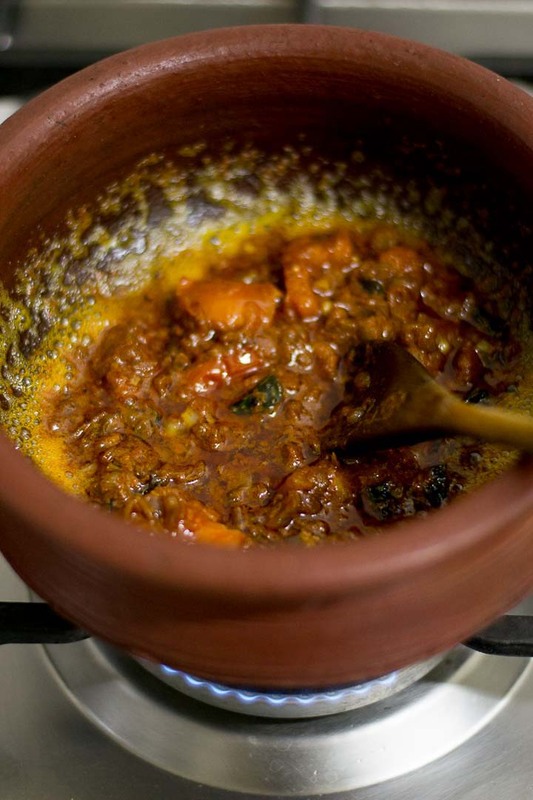 Heat ghee in a pan and add in mustard seeds. Let it crackle. Add in the the curry leaves and sliced small onions. Saute the small onions until golden. Add in the black pepper powder to the pan. Immediately add the tempering to the stew. Tried this recipe today. It turned out to be delicious. Authentic traditional fish Kilkenny taste. My family relished it. Thank you for sharing. 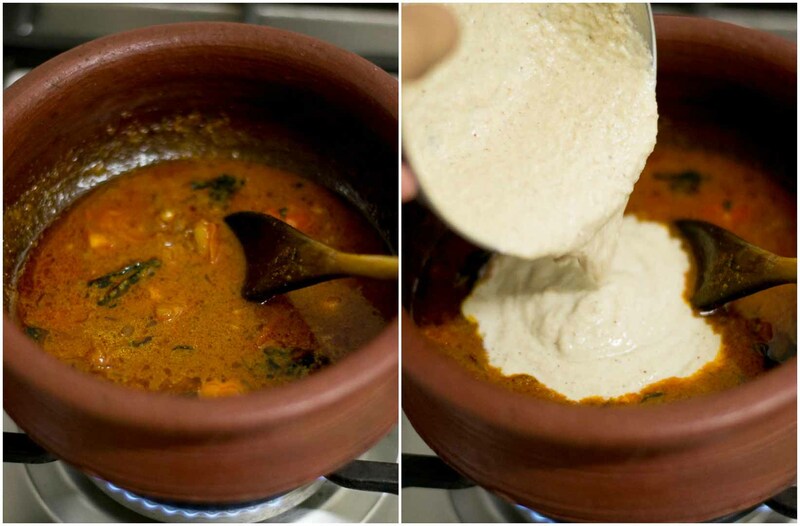 Nice recipe where did you get the earthen pot vessel?